Whether your friend, a family member or any relative is suffering from something minor like a cold and cough, or something major where they are in a hospital, get well flowers can certainly bring some warmth, love, and cheer them up from the gloominess in the room. 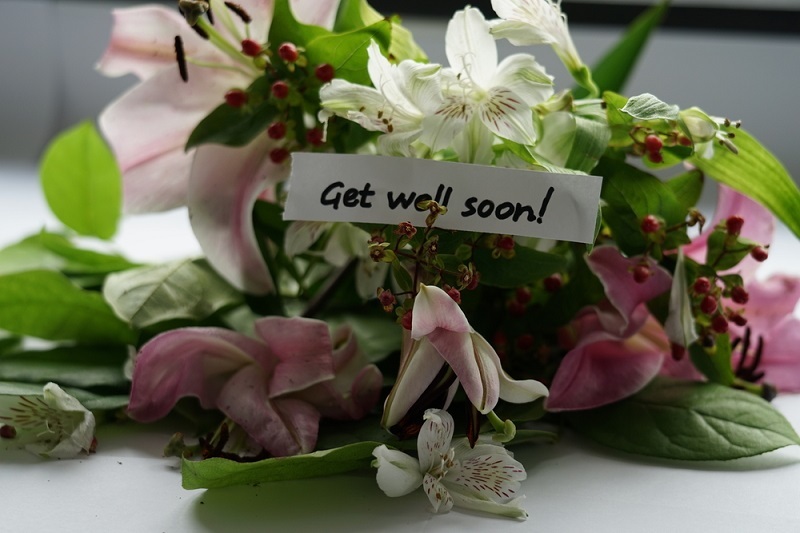 However, sending flowers to a sick person can be a little risky, as you don’t want to risk spreading any more infection. While you might think that a beautiful bunch of sunflowers is exactly what your friend or family needs to have for a hearty recovery, it is important to take a note that a sick person’s immunity is not as strong as yours is. Certain flowers can act as allergens and spread pollen, or cause allergies to a sick person. It is always best to inquire about any allergies that the person might have before you send get well flowers to them for cheering them up and sending your love over. Roses, carnations, etc. are a great, allergy free choice of flower to send, as they do not have exposed pollen grains, which can cause allergies to the patient. There are certain flowers, which wilt quite quickly, such as roses, while certain flowers have a longer lifespan, such as carnations. Choose a kind of flower, which will last for a longer time, as it will act as a constant reminder to the patient and look beautiful for longer. When choosing beautiful get well flowers for a sick person, the stem of the flower is hardly something that people tend to notice. However, if you are observant and choose flowers with a woody stem, the flowers could last longer, than those with the soggy stems could. You have a wide variety of choices when it comes to the kind of flower arrangement that you want to send to your sick friend or a relative. 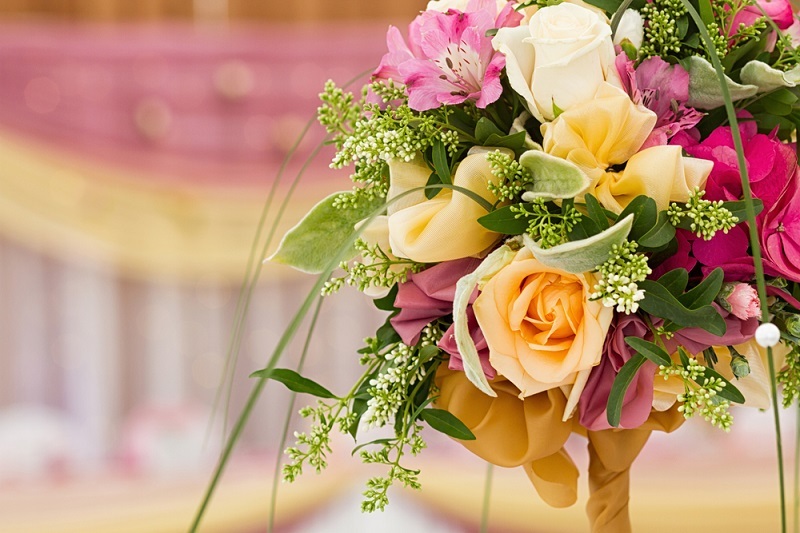 You could send a few handpicked flowers in a vase, or opt for a larger, structured bouquet. If you opt for a bouquet, you can choose one, which has a foam base. This is because the foam will soak up the water and help the flower to last for a longer period, as compared to other bases. This will also reduce the need for the hospital staff to frequently change the water of your flowers to keep them fresh. While get well flowers are certainly a more popular choice, you could also opt for a houseplant instead of a bunch of flowers. This could be a long-lasting gift, and the person could ever take it home and care for the plant after recovery. The houseplant signifies a symbol of long-lasting love, warmth, and friendship. When opting for get well flowers for a patient, don’t shy away from bright colors! Opt for flowers, which are bright, colorful and smell amazing. It has been said that keeping beautiful flowers near a sick person can actually boost their spirits and help them recover even faster. The beautiful flowers are a constant reminder to them that they are being loved and cared for. Choosing the right kind of flowers for a sick person can make a whole lot of difference in lifting the moods and spirits of a patient!